AM I NEXT? 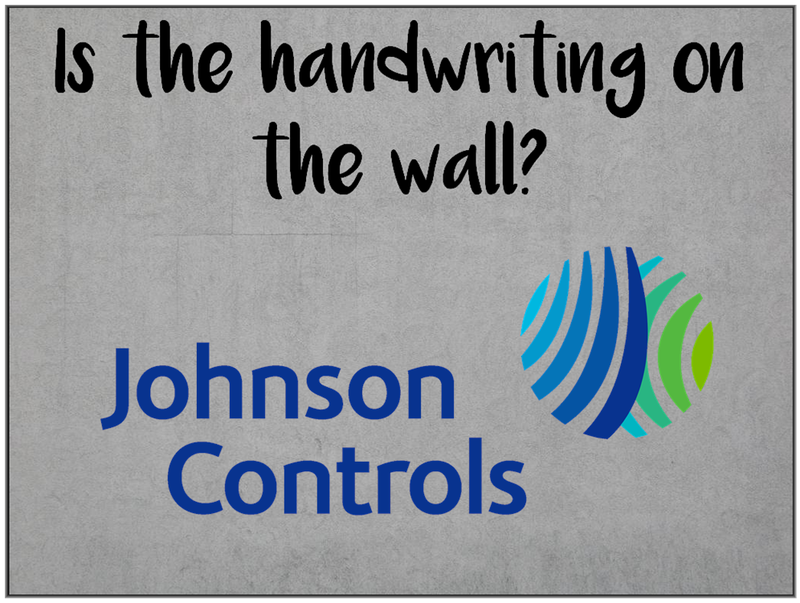 NO LOVE AT JOHNSON CONTROLS — AM I NEXT? Johnson Controls, formerly headquartered in Glendale, Wisconsin and now headquartered in Cork, Ireland, has noted that its restructuring plans for 2016-2018 were based on a reduction-in-force of 9,200 employees, with 4,300 having already been separated from the company as of June 30, 2018. “The Company's fiscal 2018, 2017 and 2016 restructuring plans included workforce reductions of approximately 9,200 employees ( 7,300 for the Building Technologies & Solutions business, 1,700 for Corporate and 200 for Power Solutions). Restructuring charges associated with employee severance and termination benefits are paid over the severance period granted to each employee or on a lump sum basis in accordance with individual severance agreements. Bloomberg has reported that Johnson Controls will be selling its Power Solutions business to a private equity firm for as much as $12 billion dollars. All four of the finalist bidders have experience with cost containment, asset divestiture, and employee layoffs. Are you wondering, Am I Next?